You deserve to live a life you love, and it is absolutely within your reach. All it takes is willingness to do the work and belief that you can change. Transformation is inevitable when we show up with hearts and minds open. To me there is nothing more gratifying, more sweetly soul-stirring than witnessing transformation. There is this incredible moment when a person finally gets it, when their energy expands and their heart swells and waves of release roll through their body and mind. All at once their energy is washed clean, and freedom becomes more real than all their previous beliefs about feeling stuck or lost or afraid. It is truly miraculous. We all have the ability to allow the freedom that we so deeply desire into our lives, but sometimes we just need a little help. We get so stuck in seeing things one certain way that we become paralyzed to finding a new way. We lose sight of what we want. We disconnect from ourselves. We forget that there's a bigger force at work in our life that we can use to conjure and create with. That's where I come in. Soul Care Coaching is about clearing, soothing and shifting. We dive deeply into your emotional, physical, and spiritual well-being and create space to call in a new reality. The process is truthful, gentle and supportive. It gives you an opportunity to listen to your body, feel your feelings, find balance and realize a powerful sense of control. One of my favorite clients of all time is named Laura. Laura healed her body of cancer, learned to forgive herself and her parents, and now lives in what she describes as "pervasive peace." The magic of Laura is that she showed up over and over and tried everything I asked of her with the enthusiasm of a child. She allowed herself to be pushed to the edge and willingly surrendered the ego time and again. Story after story fell away and she shifted her perspective so dramatically that her entire life has changed. She did that. She did the hard work. I simply held the space and lovingly guided her in the direction of her vision. You are ready to make significant progress. You need a little help in seeing things differently. You are not afraid of change or to change. You are ready to learn how to let go of limiting beliefs. You want to experience undeniable truth. You crave a safe space to rip off bandaids, examine old wounds with a new set of eyes and heal (in many instances in an instant). You are feeling called to let go of unhealthy habits or addictive behaviors that are no longer serving you. You are ready to love your reflection in the mirror. You are looking for change in your career, in your relationships and in your body. You get the sense there has to be “more” to life. You know it’s time to make a change, you just don’t quite know how. We meet for 6 one-hour video conference (or phone) sessions over the course of 3 months. Between sessions we correspond over email to continue discussing concepts and exploring what comes up as you practice your new ways of being in the world. The Soul Care experience is ideal for you if you have an area of your life you'd like to focus on improving and are committed to doing the work to create that change. Together we will look at your beliefs and habits, take stock of your relationships, and implement actionable steps for positive shifts. 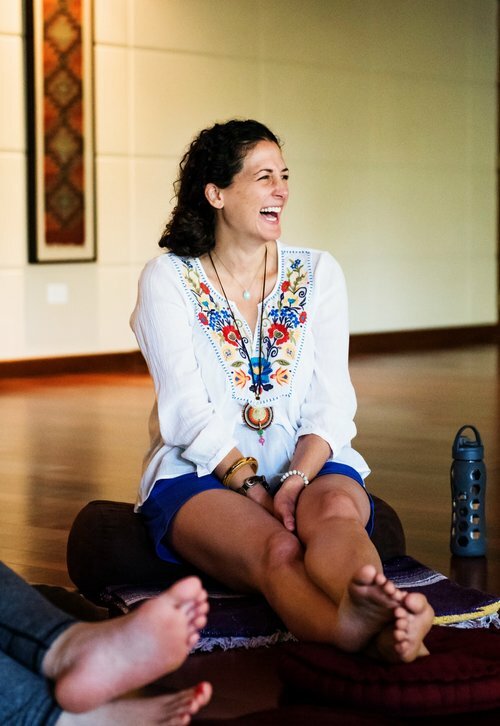 Since I am a huge believer in the power of meditation to facilitate transformation, our coaching sessions will be augmented by recommended meditations as well as self-care rituals for balancing your energy and aligning yourself with the heart. We will look at what you are eating and drinking as well and make slight tweaks to aid your progress. I’ve reached a place within myself that says I can do this! I’m so happy!!!! I have an audition in a couple of weeks along with a game plan for the next couple of years! As a result of our coaching sessions I have been spending time doing things I love, and feeling so productive. I’ve been taking walks, gardening, practicing, cleaning, cooking (my greens), learning how to build a website which I never thought I would have the time or ability to do. And spending time with family and friends. Thanks to your guidance I’ve reached a place within myself that says I can do this! And that everyday is a new opportunity to learn and grow. You have a gift, Lacy! Thank you for reminding me that I have the ability to choose and act! Working with Lacy was one of the best decisions I made in 2017. Also one of the best things I spent money on. Finding Lacy and working with her was serendipity. Our work brought light to things I had buried and my way of being in the world. I am a changed person from the girl I was six months ago. I experience an overall sense of peace and the way I tell my story has changed. I no longer get riled up in traffic, instead that time is used for more thoughtful things. Lacy was (is) a beautiful, caring guide through this process. It always surprised me to receive a message from her when I was struggling and amazes me still that I can feel so connected to someone I have never met in real life. It was so easy to be open with her about things I had never shared with others. And she held that space with such love. Lacy has forever changed how I move through this world; changed how I present myself to others; and changed the stories I share with others and most importantly the ones I tell myself. There is a new awareness I received working with her and through her guidance. I have always been the girl who thinks before she speaks but now there is a new filtering process: my thoughts get filtered through my carefully chosen beliefs before they are given credence. The thing I will always be grateful to Lacy for is that through our work (and some travel experiences during the same period), my heart broke wide open. Like broken so wide open it didn't belong to me anymore. I cannot find words to do this justice but know this is one of the things I treasure most in the world. The experience would not have been so profound had Lacy not helped me work on the foundation. Lacy, I am forever grateful for your guidance and I hope to meet you in person for a Shift retreat in the future. I feel mentally and spiritually more healthy than I have felt in a very long time and so much of that is because of our work. Thank you sweet soul. Several months ago, I was a broken woman. I was consumed with anger and guilt. I was very judgmental and would only see my way of thinking. I mistrusted everyone. Except for one person, whose life was intertwined with mine in several ways. When he told me our friendship needed to end because he would no longer tolerate my negative attitude, I knew I needed to make some changes. That very night, I started searching for help. I had spent my life repressing feelings and emotions to conform to familial, societal, and religious pressures. I had tried to share honest feelings, but the betrayals left me guarded and I learned quickly not to trust. Now I was desperate. I remembered hearing about Lacy through following a complete stranger’s Instagram. And that night, before I could let any fear or doubt set it, I sent an email begging for help. The next morning I received a response that made me cry. And, so began Soul Care video conferencing sessions with Lacy Young. From our first session, and the lovely sound of her voice, I knew I had found someone I could trust, someone who would not judge me, someone who would listen to my heart. She brought me to the realization that, with some work, I could once again find peace within myself (and I have!). I was very nervous before the first call, wondering if I’d have any regrets sharing my raw emotions with a stranger, but those thoughts quickly dissipated. By the end of the call, I was already looking forward to my next session with Lacy. Her perspectives and processes were enlightening, thought provoking, and made such complete sense to me that I was determined to try hard under her guidance and work through any perceived limitations. When I have moments where I start to fall into old patterns I use the tools Lacy gave me and remember I am worthy. Just because I am. I cannot express how grateful I am to Lacy for working with me and I look forward to meeting her in person at Shift. You're adding important layers to what I've been doing and model how to uplevel my work with even more humanity, love and integrity. And, can I just say, this is/has been so worth it for me, and I'm so glad I said yes to Soul Care. It has been priceless soul work and discovery. Thank you, thank you. How did I get so lucky to be doing this work with you? I simply can't imagine where my life would be without it. I feel it was always meant to be and never not going to happen. Soul Care Coaching is a nurturing, effective venue for creating lasting shifts. Let's nurture your soul and set your heart on fire. Soul Care runs twice yearly. Apply or get in touch via the contact page here with any questions you may have.